The Landcross stretch work trouser is our latest trouser design. Inspired by outdoor performance-wear aimed at hikers and walkers where comfort, freedom of movement, durability and quick drying attributes are paramount. 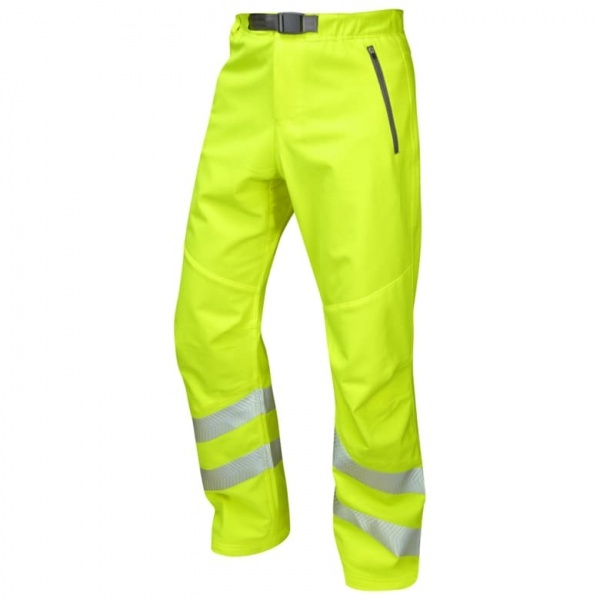 The same garment benefits, when fused with outstanding high visibility, create a superb trouser for the modern workplace. The trouser is crafted from a quick drying 4-way stretch softshell rip-stop fabric with a soft inner brushed fleece layer next to the skin. Other key features include articulated knees for improved flexibility, an adjustable and elasticated waistband and a stretch chevron design segmented reflective tape.